Alabama DUI laws – if “broken” – can have serious lifetime consequences, but only if that driver is CONVICTED of an Alabama DUI. It’s easy to become overwhelmed with emotion after a “night of fun” turns into a DUI arrest and a night in jail. You wonder what the best DUI defense strategies for your DUI charges would be. However, your immediate sense of doom and gloom MAY have a favorable solution that you would not expect to happen, such as a reckless driving vs DUI disposition, or possibly an even more favorable outcome, like a DUI dismissal. Reading online you now discovered that every field sobriety test is OPTIONAL, and that these roadside evaluations are “junk science.” You need experienced DUI lawyers for legal representation at the highest level, and the best attorneys in Alabama for knowing how to defend a DUI. THAT is why you don’t give up and simply look for a cheap DUI lawyer to plead you guilty. That stress-driven decision can be a lifetime mistake. 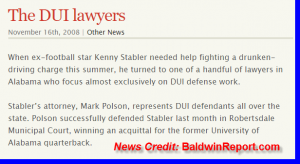 On television news, you see that the celebrities fight their DUI cases and win, so why not hire the same DUI lawyers near me, for your criminal charges? A skilled, experienced, and highly-rated Alabama DUI lawyer is only a phone call away, whether your case is pending in Mobile, Huntsville, Montgomery, Florence, Muscle Shoals, Phenix City or in one of the metro Birmingham AL courts. 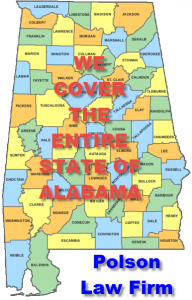 Our law firm covers all of Alabama from our office location in the Homewood section of Birmingham Alabama. Have you been charged with driving under the influence for alcohol or drugs in Alabama, or were you arrested recently for another type of criminal offense? Have you been Googling “DUI defense lawyers” to find the DUI attorney near me that can help you obtain a great result? Wondering about how to exclude or suppress a blood test or breath test? If so, read more below about one of Alabama’s premier law firms near me. The Polsons’ legal expertise has helped thousands of clients facing misdemeanor and felony DUI Alabama charges get reduced penalties – and possibly a dismissal. As a father-son legal team, Mark and Whitney know the importance of protecting families by not having a breadwinner hampered by a prior DUI conviction. For example, protecting our client’s driver’s license is a KEY consideration in every driving while intoxicated case. The two veteran criminal attorneys in Alabama are passionate about helping citizens in time of need, and these criminal law advocates in Birmingham will fight on your behalf. Don’t feel defeated. Don’t plead guilty and humbly “take your medicine.” Hope exists for a favorable case resolution in MOST DUI Alabama cases, with the right defense attorneys. Birmingham DUI lawyers Mark Polson and Whitney Polson know how badly a DUI/DWI and other criminal charges can affect all aspects of your life. Using this knowledge, the criminal justice attorneys vigorously defend people across the state of Alabama who are accused of driving while impaired, and who simply cannot plead guilty to a DUI in Alabama and face lifelong penalties, including the possible loss of a lucrative career. 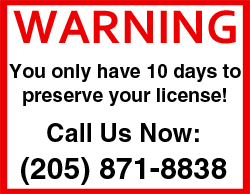 Drunk driving defense is our specialty as Alabama criminal defense attorneys. When it comes to DUI cases in the state of Alabama, no lawyers in Alabama have more case experience than our driving under the influence specialists, Mark Polson and Whitney Polson. Super Lawyers has acknowledged Birmingham DUI lawyer Mark Polson for 10 years based on his excellent DUI defense in Alabama. Super Lawyers refers to our DUI specialist law office in Birmingham as a “premier criminal defense law firm.” Similarly, America’s oldest attorney ratings service, Martindale-Hubbell, has ranked lawyers since 1868. 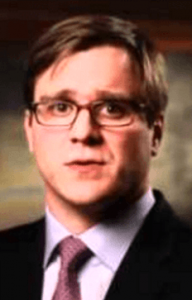 Both Mark and Whitney are rated with this prestigious legal practice organization. Our dedicated criminal defense attorneys travel statewide to defend accused drunk drivers. Mark and Whitney will travel to any court — from courthouses near Birmingham, AL, such as Hoover, Vestavia Hills or Mountain Brook Municipal courts — to a criminal court case in Mobile, AL or Montgomery, Alabama. Auburn University graduate Whitney Polson will proudly handle your case regardless of the type of charge: misdemeanor DUI, felony DUI, juvenile criminal, misdemeanor criminal or felony criminal charges—1st offense DUI, 2nd DUI offense, DUI 3rd offense and traffic violations. The Polson & Polson Law Firm has been awarded the highest level of professional excellence (2018 Martindale-Hubbell) and Client Champion Gold 2018. Give yourself some piece of mind and call us to see how our DUI defense law firm works. 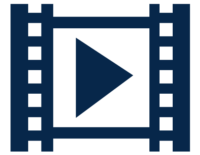 From the Gulf Coast (e.g., Gulf Shores or Orange Beach) to the Tennessee line (e.g., Athens, Huntsville or Florence) – our Alabama attorneys CAN AND WILL guide you through this. Every minute counts! Act now! 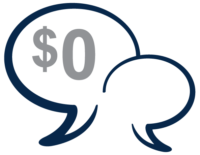 Give us a call TODAY for your FREE lawyer consultation. 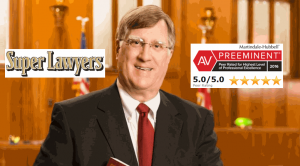 Based on legal industry lawyer ratings, Birmingham DUI lawyer Mark Polson has been recognized by Super Lawyers for nearly 10 straight years for his work in drunk driving defense, and in Alabama criminal trial practice. Attorney Polson’s 44 years of asserting successful DUI defenses as a Jefferson County criminal lawyer has placed the Alabama DUI attorney at the top of most lists of Alabama Best Lawyers, based on quality of legal services performed, as a Birmingham DUI attorney. 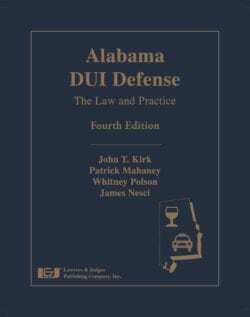 In addition to Mark Polson his son, Whitney Polson, just co-authored the book “Alabama DUI Defense” in 2016. 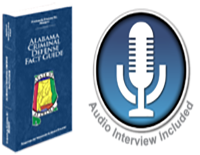 This book on Alabama DUI laws was the first book written by the DUI attorney Birmingham AL. With criminal law as the mainstay of their law firm, driving under the influence cases have made them regionally and nationally famous for defending citizens accused of drunk driving in the state of Alabama. Their legal advice has guided thousands of people accused of DUI Alabama, to a DUI dismissal or reduction of charges, even those clients with a DUI accident and a related personal injury civil case. The new drunk driving book by DUI defense attorney Whitney Polson, published in 2016, is icing on the cake for the Polson & Polson criminal law firm in Birmingham Alabama. Mark Polson was also author of a book for lawyers on Alabama DUI law decades ago. This tradition for the Polson Law Firm of helping to educate all Alabama attorneys about new laws on DUI in Alabama is just one accolade that the criminal defense attorneys have received in the field of criminal law. Both are proud members of the National College for DUI Defense (NCDD), the largest membership organization in the United States for DUI defense.